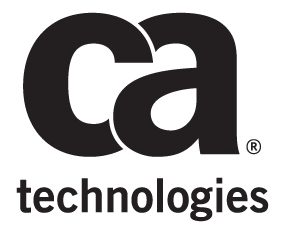 CA Service Management from CA Technologies enables you to deliver consistent IT service support. Automate interactive support, self-service and advanced root cause analysis with Service Desk Manager from CA Technologies. Work for CA Service Management? Learning about CA Service Mgmt? "CA service Desk Manager for Incident/Request Management"
CA service Desk is user friendly and powerful tool to manage project changes and incidents. A simple interface for ticket creation and incident management,ability to generate reports on incident tickets.We also use ticket templates which makes our life easy to clone them. The one thing I didn't like in CA is it requires more clicks to route between multiple cases. Reports are hard to generate out of CA systems. If your organization is moving towards self-service and automation. This product will assist in moving you in that direction.Ensure you set up the assignment groups and assigned users correctly so the tickets can be accurately assigned.Be sure to review all aspects of the system and know what customization can be completed and the complexity of completing them. All requests, changes, and incidents are tracked using the software. It allows the streamline of all IT work within the organization and assignments can be made to anyone within the organization. It allows for a lot of automation with little human intervention, which has been great for streamlining the work among the various departments of the organization. This has also been beneficial in change requests. Several tasks can get generated from a request and the appropriate personnel can be notified of the work they need to complete to close out the task. "HelpDesk ticketing and incident management system"
It is not user friendly to start with but it becomes easy after couple of trials. Also the fact that almost each click is a new page is little painful sometimes. Reports are little challenging too and we have to use other tools to gather more information about the team performance in managing the incidents. There are many other ticketing systems in market today so make sure that CA meets your specific requirement. User issues with applications and logged in CA service Management. It is easier to look at the issues and inputs from different teams along with any logs and screenshot of the issue. I like how big the software package is, I enjoy the fact that there is a lot of options. The support has gotten a lot better and have really been more than available for issues that I have. I feel like CA has pivoted to the service management area more, it felt like for the past few years the application was just ignored. I dislike the layout sometimes, it looks dated and tired. and the fact the system really doesn't have a mobile platform is annoying. There is a mobile app that is nice and we do use it. I just don't like the fact that it's not scaling. I also think the search feature is a little cumbersome and difficult for users to understand. Incident Management; Problem Management; Knowledge Management, Request Management, Service Catalog, Unified Self-Service portal, and IT Process automation. We are also looking to upgrade the version we are running to try to use the analyst interface. "CA Service Management helps to Enhanced business productivity for decision makers, users,& business"
CA can adapt process changes in the organization very easily and effectively and can make rapid growth in terms of customer satisfactions. CA can be easily customized and very robust in terms of product changes and changes to process all the other ca product is easily integrated and provide one solid solution for the organization. ca mobile solution should be enhanced and also the ca service management should look beyond IT Department in long terms. During upgrade all the customized changes should be Incorporated and all the products should have same look and feel . if your organization is looking for quick and effective process implementation which suit your business as well as align with best practices that ca service management is the answer for you. All of process(itil) was not fully automated before CA we where struggling in terms of customer satisfactions and transparency . This all has been overcome by CA not only we have fully automated our process but also all our paper process has been fully converted online. 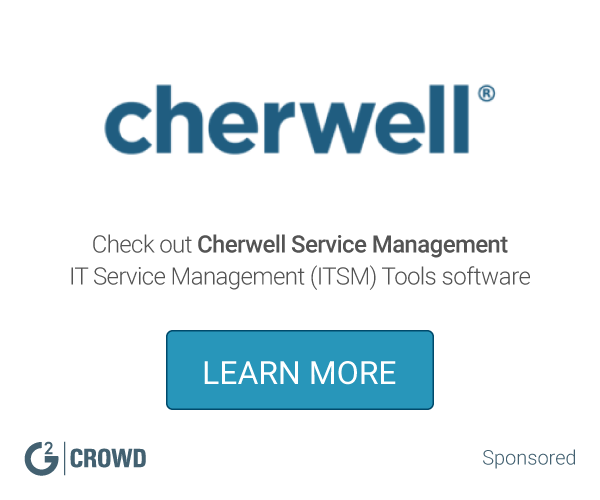 "CA Service Management- Effective and Efficient tool, with uncomplicated process for your ITSM." How easy it is to implement Service Manager out of the box, with minimal effort to train your Service Desk specialists. I've used at least 5 other tool flavors, and the training aspect for those was much more extensive than this, with less retention. CA's tool is much more intuitive and user friendly. They are also planning a new release with heat maps for the analysts, showing them their day's outlook based on the queue size, the day of the week, and other historical analytics. Can't wait. There is still some lagging in integrating certain products, for example SCCM, which would facilitate a federated CMDB. Complete incident management platform (including major incident management), request management, problem capture/resolution (reactive and proactive), change management, configuration management, knowledge management and lastly (most recently) Service Catalog for user front-end interface. "Log in and manage about 50 tickets a day." The tool is efficient for logging in and tracking information. It is a great management tool. Great tool to pull information from for reporting or auditing purposes. I also like the fact that navigation around the tool happens quickly and it is not slow when clicking through the tool to get work done faster. You do not have to wait for tool to load when you are already signed in. The tool is set up in a way that the right click button on the mouse does not paste content in the tool. It is inconvenient and makes the software not user friendly to some extent. The tool is a easy to use. A week of training and practice should get you abreast with navigating the tool. Logging in information, editing and updating statuses is quite easy to do. The UI allows users to create new form or tickets. Logging, updating and tracking tickets in the system. I work as a service desk analyst and receive calls, chat and emails and manages these information through the tickets logged in the tool. we are a team of almost 60 persons that use this tool and it does not appear to be slow when multiple are using it at the same time. "Great tool for managing the customer support process." Ease of use and how quickly we can get new analysts on the phone. The way it integrates knowledge with the ticket tool. Great tool but you need a developer to maximize auto-flows and customizations. Single point of contact utilization. All incidents / problems and requests run thru the application. Forced knowledge searching on ticket open for greater L0 resolution. "Configuration drift has made the system difficult to use"
"CA Service Management - a good choice for an enterprise ITSM tool"
The system is scalable to very large environments and is very reliable. The underlying architecture is a legacy system. Many of the newer components are actually integrations under the covers. For example the Service Catalog is really a separate system integrated to the core ticketing system. It is a good enterprise class ITSM tool. However, do not underestimate the level of IT effort to implement, care and feed for it. We are using it as the underlying toolset to support ITSM for our outsourced ITSM customers. "Great tool that encompassing all service needs"
All information from requests/incidents/problems, to knowledge, to change management can be found all in the same tool. There are a lot of bells and whistles during configuration that can be overwhelming. We currently use CA Service Management to log all requests/incidents within the IT organization. We document all knowledge documentation for our help desk to utilize and help our customers. We also track all problems within the IT organization and manage our change processes and calendars. "Service Desk Manager (SDM) r12.7"
SDM can be a bit difficult for new users to understand as it is not overly intuitive to use. It looks as though they have addressed some of this concern in the new cloud version. Also with our version, customization is possible, though it needs to be done by the SDM administrator in most cases. SDM is a very powerful and complex system that is best suited for bigger companies needing to track assets and run analysis on vast amounts of data being collected. This is a great tool and from what I've seen of the new cloud model layout, CA looks to be addressing many of my previously stated concerns. We had used a very basic in house ticket product before SDM. SDM has allowed us to understand the top issues being received by our service desk. This allows us to target training and user documentation to assist with the most popular pain points. We have also started to implement the Asset Management module and have been receiving various asset requests (computers, mobile phones, etc.) within SDM. "CA Service Desk is wonderful"
It has everything you need to support multiple sites from 1 location. If you need it, CA has it. The cost and having to explain and justify it to upper management. We were able to set up and support many different and be consistent. This meant better support for the end users and less down time. We were able to identify all our software licenses and combine them. This saved time and money. Upgrades and patches were easier, less disruptive and more controlled. "Good product, feature rich. Very stable. User experience was dated but is being ravamped now." Stability. Features/functionality. Ability to tailor it to your environment. UI and user experience is archaic. Not easy to tailor it for individual needs. We use CA Service Management not only in the IT area but also in the business side. We use it there for lobby flow management and workflow. We have integrated it with our workforce management solution. It has helped streamline client flow in our offices, provided tracking for client contacts and management oversight. "CA SM is Stalwart Product from CA Tech." CA Service Management makes complex IT Service Management Environment Transparent, Structured and Process Driven. It sets the foundation for IT Governance and Continuity Management. It binds all stakeholders under single platform and facilitate end users with proactive and reactive measures. Stability & ability for customization. Speed of performance is outstanding, i.e. I have CMDB with more than 3 million items, and when I am searching I need less than second. "IS Support Manager for Service Management products"
Support for product has been there when needed. Implementation coordination was excellent and assigned resources were responsive to our needs. Installation night we had dedicated service assistant and technical resources. Help Desk product has been working well. Service Catalog of services works well for our needs. Invested in many workflows and customizations. CA Service Management has mapped all the ITIL Process. His GUI is not friendly, the try to put all the functions on one page. It has limited functionalities for the mobile interface. Use if you have other CA Technologies. Supports: events, problems, changes and CMDB. "I somehow grew to actually like it"
The first iteration we rolled out in 2008 was horrendous. You couldn't move your mouse without a popup. It was like being trapped in one of those never ending spam websites. We put it up with it for a year and hated it. Then CA actually listened and made a few changes and suddenly the SD was actually really helpful. I found myself telling people to please open me a ticket (which i don't do for the current software we use (new firm) Footprints. MAJOR FEATURE: you can expand the ticket and see the majority of its contents without clicking into it. Most tickets are 2-3 sentences so this saved a ton of time. Color scheme wasn't great and occasionally hard to read though you could mostly get by since it could be resized. After the upgrade I really didn't have a ton of problems with Service desk, it was useful. I last used it in 2010 but it was the only system i've used to this point that I was actually happy with using. It was responsive without needing a ton of horsepower, it was flexible in terms of new categories/groups/notifications/etc, but even more so the developers actually listened and changed the UI which was terrible to something that was actually quite good in the end. I have not touched the product in 5 years though so please do your due diligence. We used it for a 1400 employee primarily IT workforce so tracking tickets was necessary. We did wind up using it for problems as well (items that take more than a few weeks to resolve or that affect more than a handful of users). The version we used in 2010 was very well done. "tedious, Exhaustive, & Highly Customizable"
The possibilities of making the Service Desk look and feel however you want seem endless. The product really did everything I needed it to do, sometimes even more. The Knowledge Base feature is quite inefficient via searching for keywords and the like. The fact that it could only be ran effectively in Internet Explorer (at least in the environment I used it in) was a major pit fall. constant pop-ups of different windows when it was not necessary in the world of tabbed web surfing. At times, there were just too many options making it very difficult to know what one was searching for in order to perform a specific desired function. The recommendation is there, but their eagerness to buy into CA's product turns into eagerness to buy into a cheaper one once the price tag is realized. Service Desk allows inventory tracking and management, record call handling and ticket activity to track work load and efficiency, contact integration for seamless support capability, linking incidents to create global issues. I like that CA Service Management suite are planning to move into one platform, one theme. CA should focus their developing or improving admin tools for these tools. ex. CA Service Catalog migration feature for services, implement version controls, etc. CA Service Management is moving into one suite, one product line. This is easier to use for administrator in the near future. Bundled Services like HR Onboarding- We could have our clients submit one request which dispatches various fulfillment tickets. "CA Service Desk - Healthcare/Shoe Company Usage"
Easy to track all types of tickets. Incidents, requests and change orders all have their place. Decently customizable, but takes some getting used to. Not always the most stable of ticketing systems. My main gripe was not neccessariy with the ticketing system as much as it was with the company who didn't have much resources for the admin to fully utilize the tool and help overall company productiviy. Can easily track user downtime when tracing tickets. Can also easily monitor Help Desk associate's productivity. "SDM works well and is very stable. Upgrades are troublesome. GUI needs an overhaul. " Very stable. Features and flexibility. Used for Change, Incident, Request and problem handling. Workflow task allow for customized work flow. "I am responsible for IT Operations in ICBC Argentina"
"Easy to use for ITSM"
"Unicenter Service Desk Suite is a great tool if your organization is trying to follow ITIL"
The suite offered common ITIL language so that teams are able to communicate more effectively and have a consistent way to measure success. The system required proprietary code language at the time when I was working on the product suite. It was not hard to pick up, but was not a common language. Service Desk is a robust tool if you are willing to put the planning and process improvements in place. Our CIO made it mandatory that the team get certified in ITIL. This provided a centralized CMDB where cross-teams could work more closely, such as Change Management and Disaster Recovery. I will carry this knowledge always. CA Support is very prompt. And there are different levels so it goes to Sustaining Engineers at the end and gets sorted. Nothing as such. I mainly use Service Desk which is good. Some enhancements is needed mostly we log them as ideas. Enterprise Service Management and to align to ITIL. The enterprise capabilities are nice. Their customer support is great. It's a dated UI. The complexity of customizations is difficult at times. we're trying to automate our service management process. We're trying to replace the manual processes we used to rely on. "Easy to use ticketing system"
The alerts were great and I liked how easy it was. The lack of training on the product. I would like to have more. Its work flow and is easy to use. It has a logical flow and it is not hard to navigate. I haven't come across any deal breakers. Learning about CA Service Management? * We monitor all CA Service Management reviews to prevent fraudulent reviews and keep review quality high. We do not post reviews by company employees or direct competitors. Validated reviews require the user to submit a screenshot of the product containing their user ID, in order to verify a user is an actual user of the product. Hi there! Are you looking to implement a solution like CA Service Mgmt?